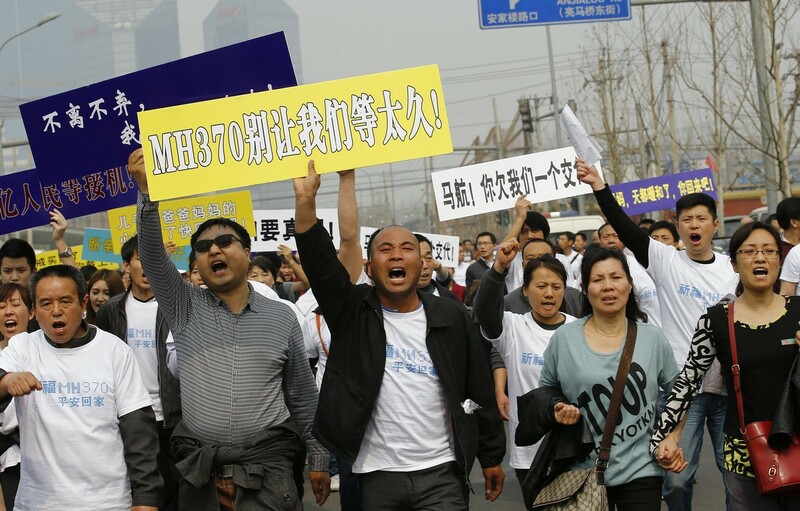 KUALA LUMPUR - Calling for a control over information related to Flight MH370, Kinabatangan MP Datuk Bung Mokhtar Radin said this is not a time to be "pointing fingers and playing the blame game." 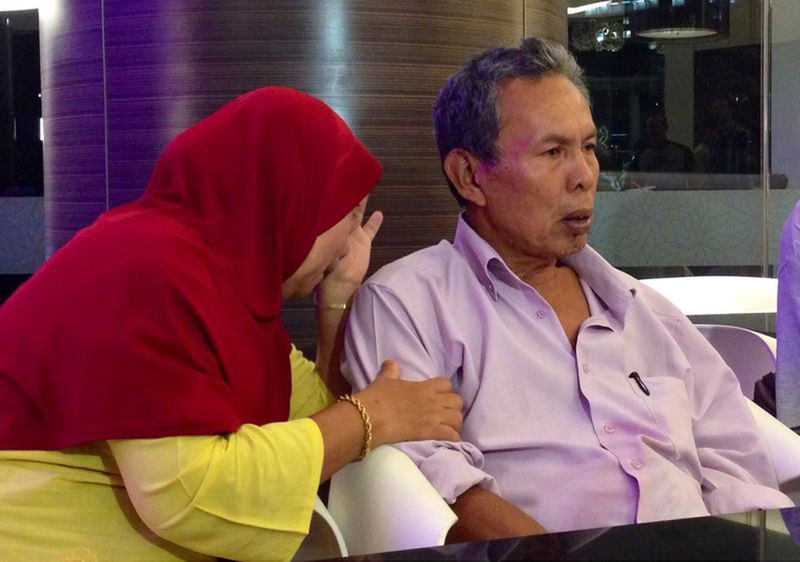 Bung Mokthar urged the government to control information on the Malaysia Airlines plane to avoid families of the 239 passengers and crew getting into a rage. 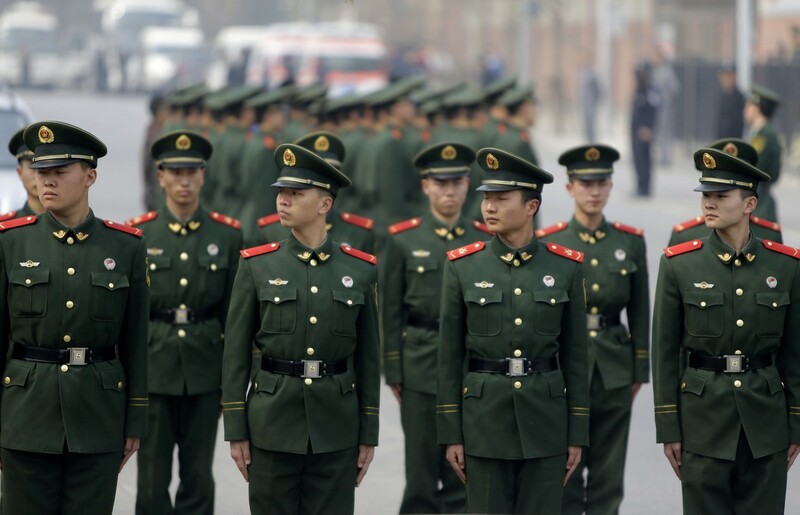 "This is a sensitive issue and we do not want others who may believe all speculations on the internet to wage war against us. 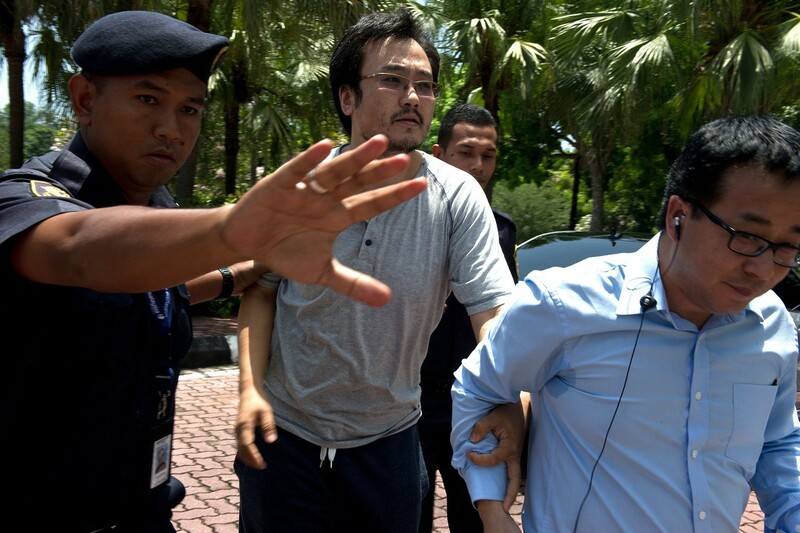 "I also urge the government to fly the national flag at half mast in respect of those perished in this tragedy," he said to a question from Liang Teck Meng (DAP-Simpang Renggam) who asked about the possibility of Chinese next-of-kin taking retaliatory actions against Malaysians living in China in Parliament on Tuesday. 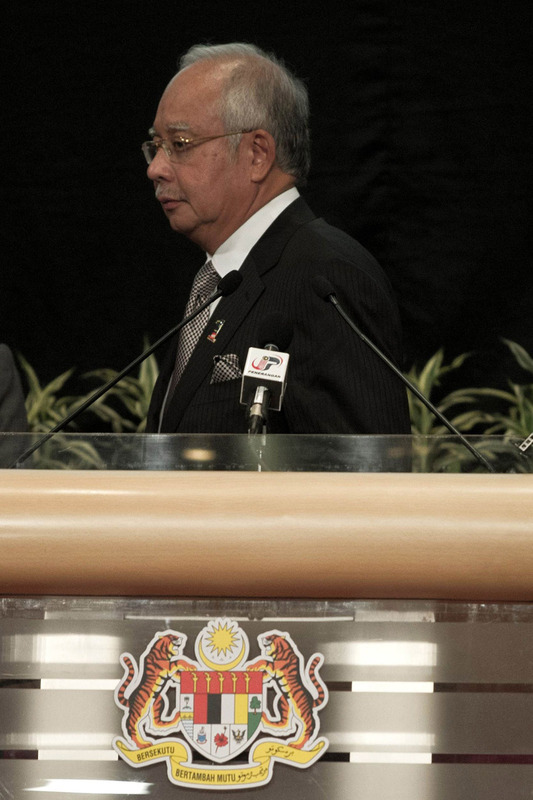 "This is not the time to be pointing fingers and playing the blame game," Bung Mokhtar said. 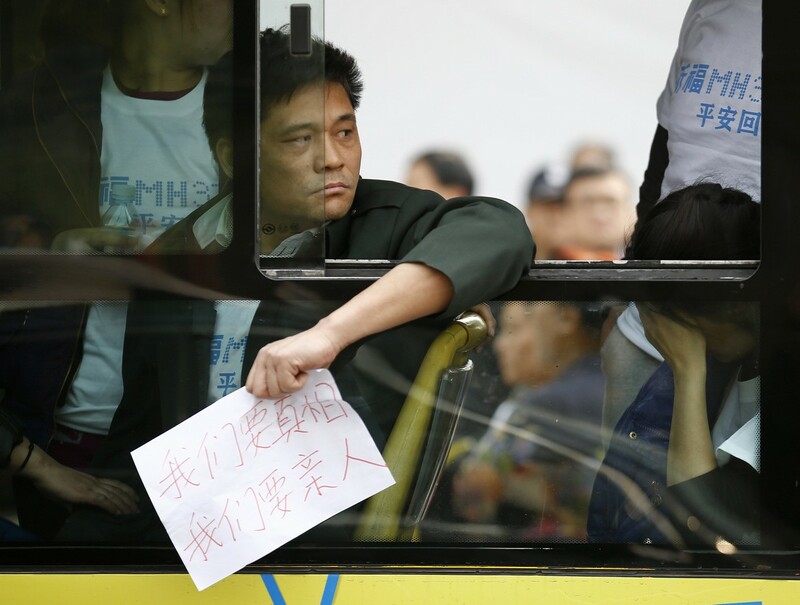 "All of us would like to help the government to resolve this issue, and in order to achieve that, we should all unite," he added. 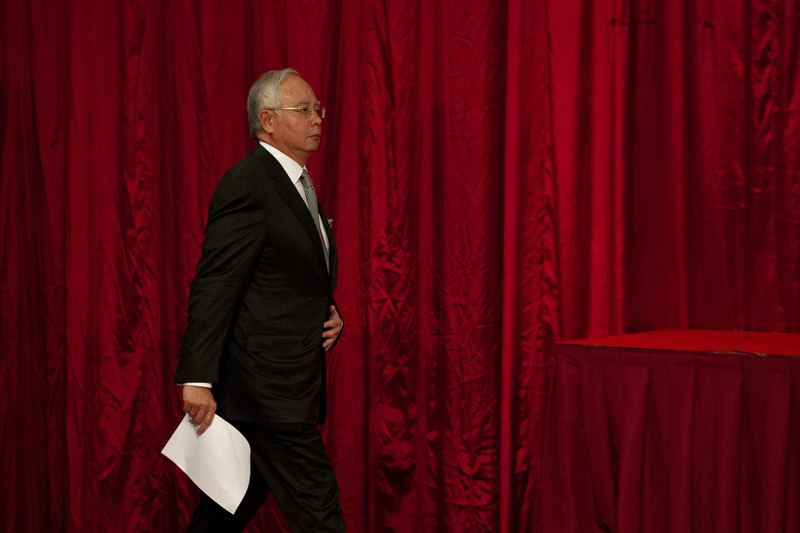 Bung Mokhtar also condemned the actions by some opposition leaders who belittled the government's effort, adding the nation was going through one of its most challenging times. 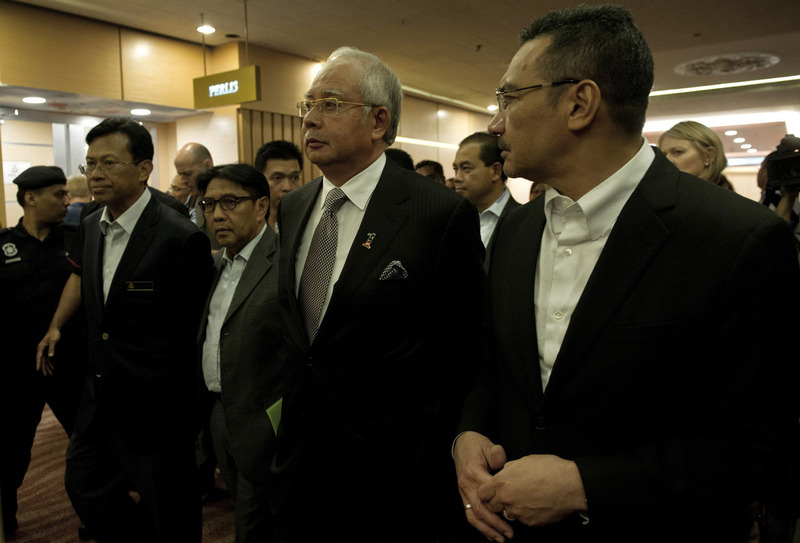 "Making wild allegations at this point of time is inhumane," said Bung Mokhtar, who spoke on behalf of Sabah lawmakers after Prime Minister Datuk Seri Najib Tun Razak tabled a special motion to convey the nation's condolences to the families of those aboard MH370. 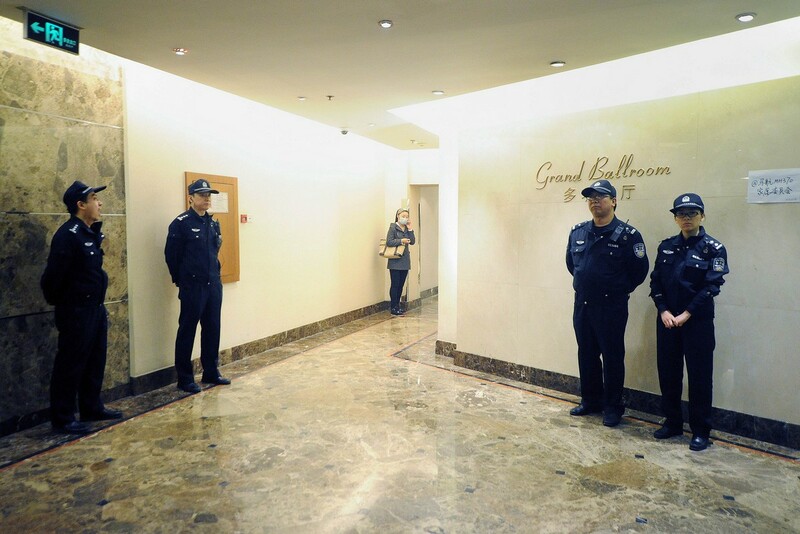 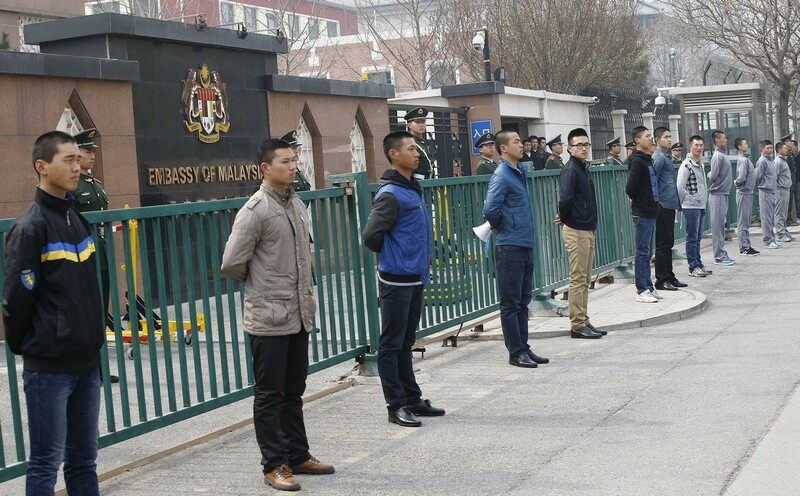 Angry relatives of Chinese passengers aboard Flight MH370 scuffled with security personnel Tuesday as they descended on Malaysia's embassy in a rare protest. 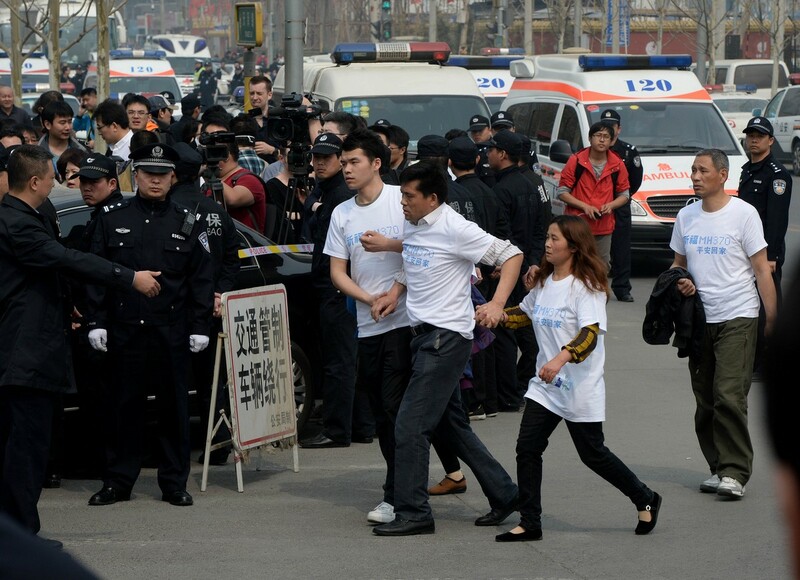 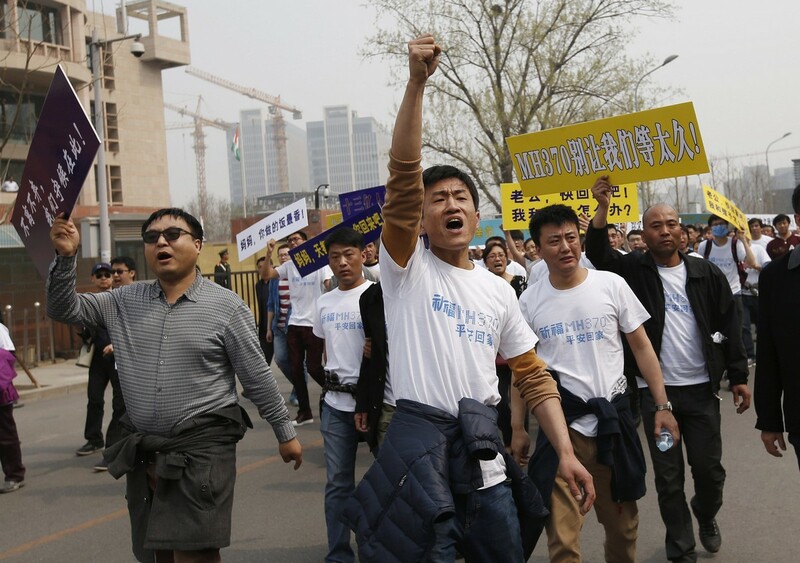 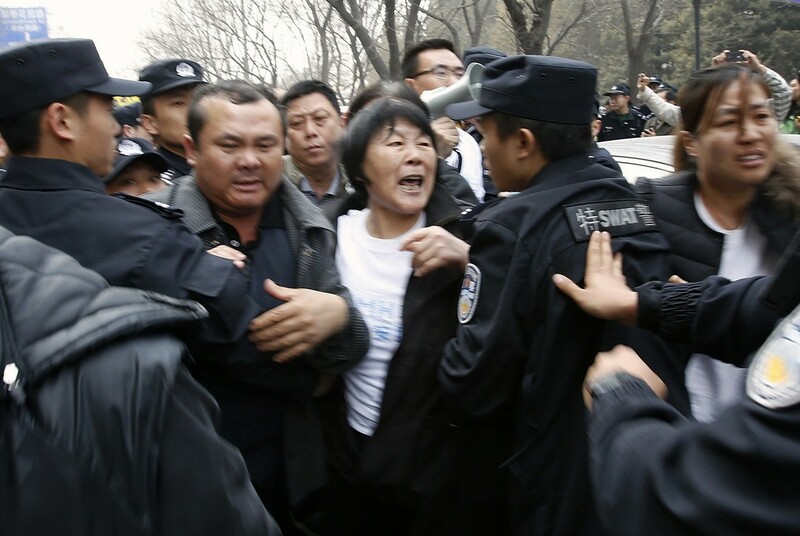 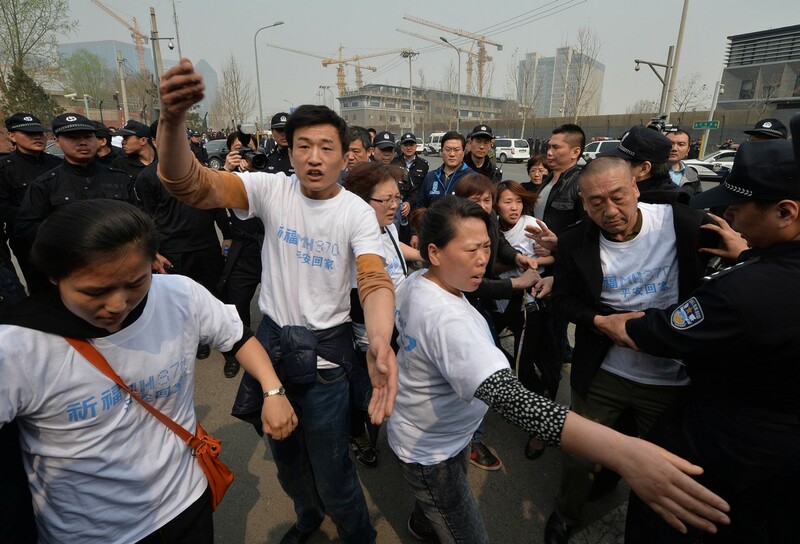 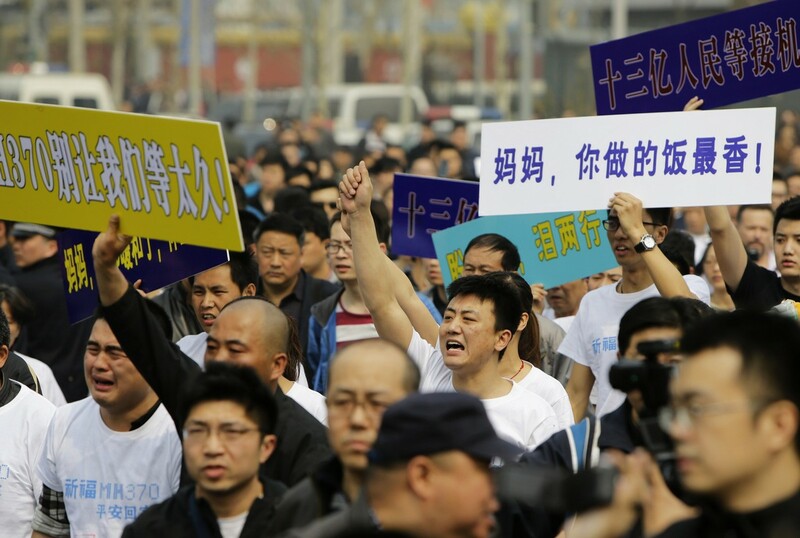 "Return our relatives," around 200 family members cried at the gates of the Beijing mission, which was protected by a row of uniformed police and plain clothes security. 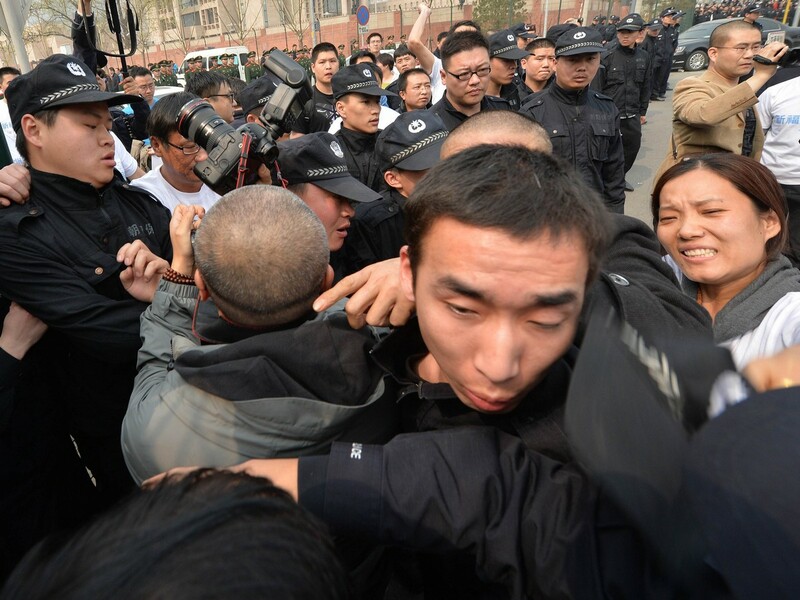 Scuffles broke out when uniformed security personnel attempted to block some of the relatives from reaching reporters, who were being kept in a designated area. 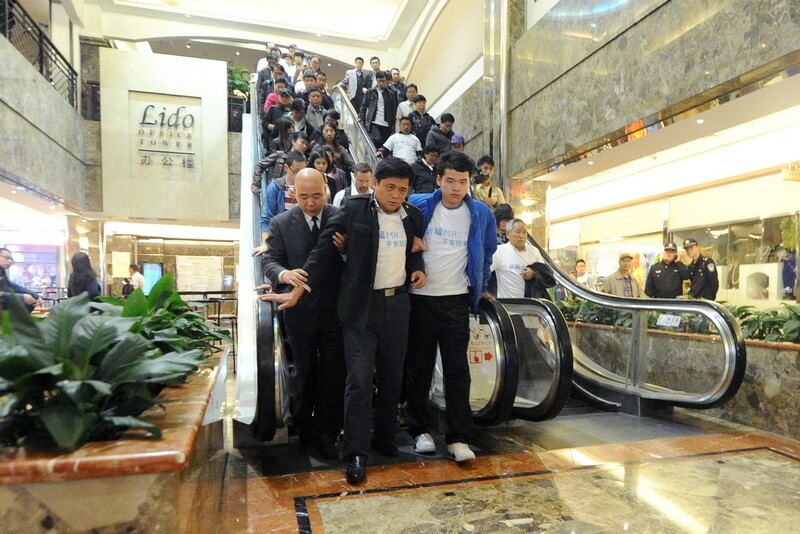 One woman was taken away on a stretcher. 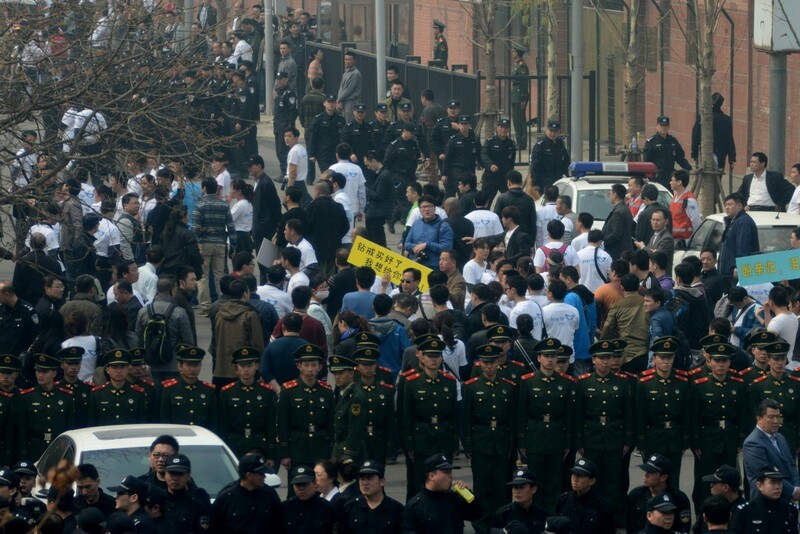 Paramilitary police with riot shields assembled nearby, out of view of the protesters. 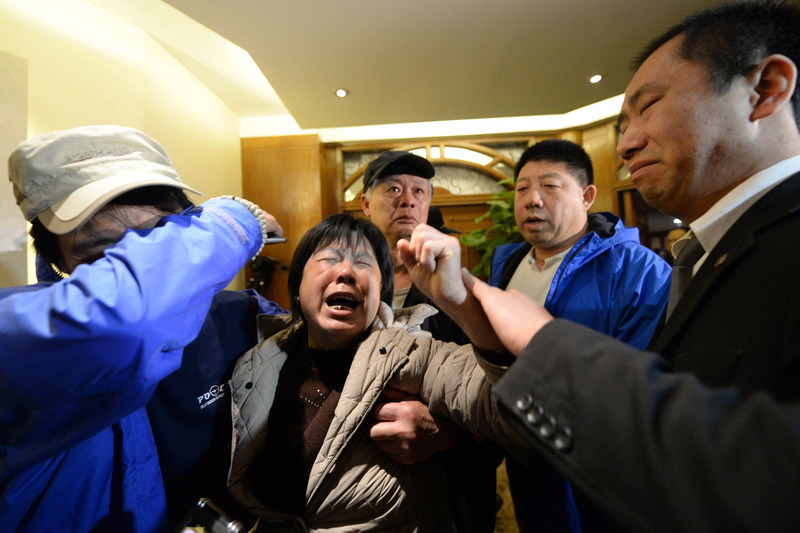 The relatives, some in tears, had linked arms as they marched from the Lido Hotel, where they have gathered throughout the 17-day drama, about four kilometres to the mission. 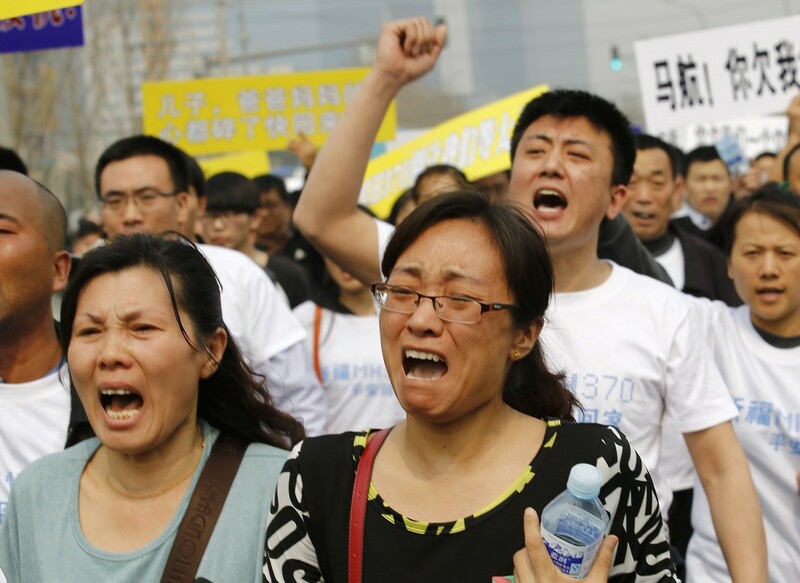 They erupted in grief, fury and disbelief late Monday when Malaysia announced that although no wreckage has been found, satellite data showed the plane had crashed in the Indian Ocean. 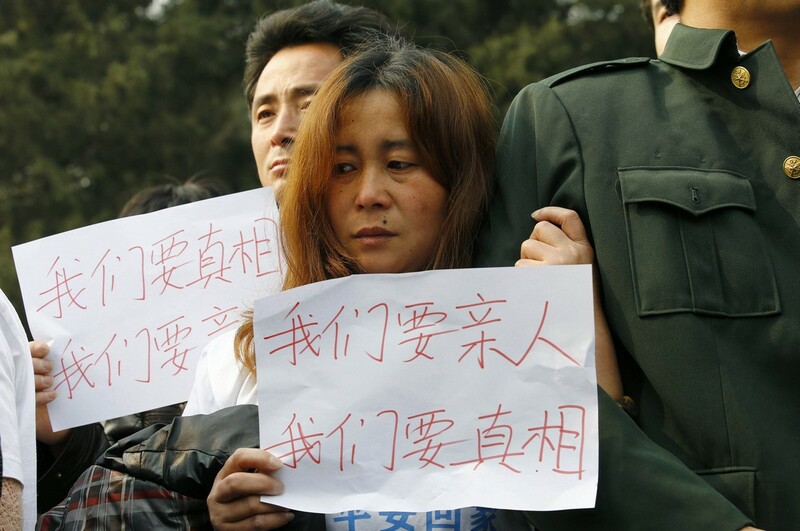 Malaysia Airlines' chief executive Ahmad Jauhari Yahya defended the carrier against criticism that relatives were told in a text message that the plane was lost with no survivors. 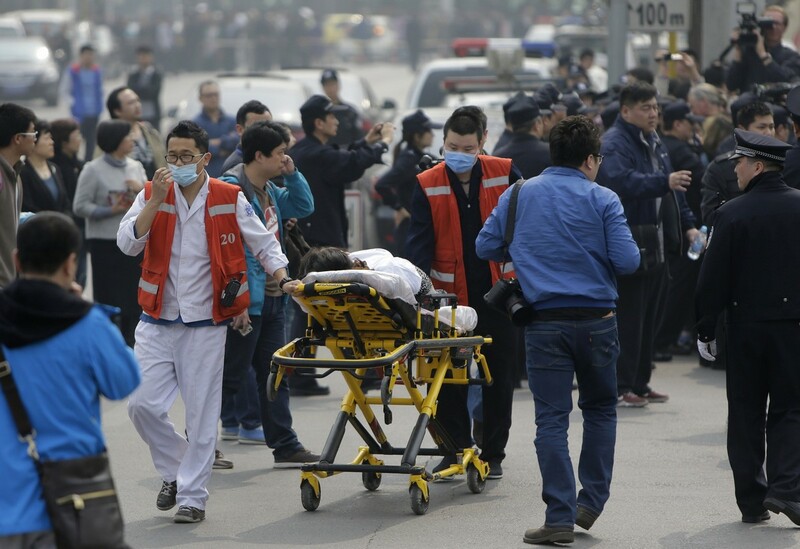 "Our sole motivation last night... was that the families heard the tragic news before the world did," he said at a press conference. 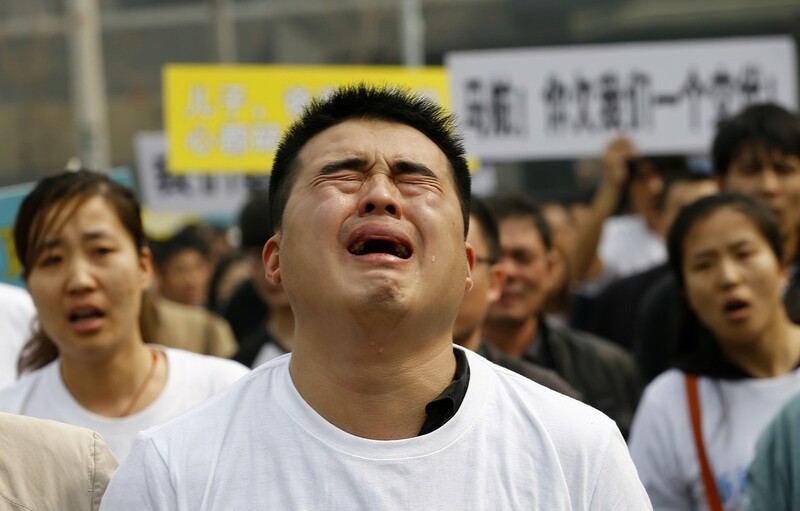 "There are no words which can ease that pain." 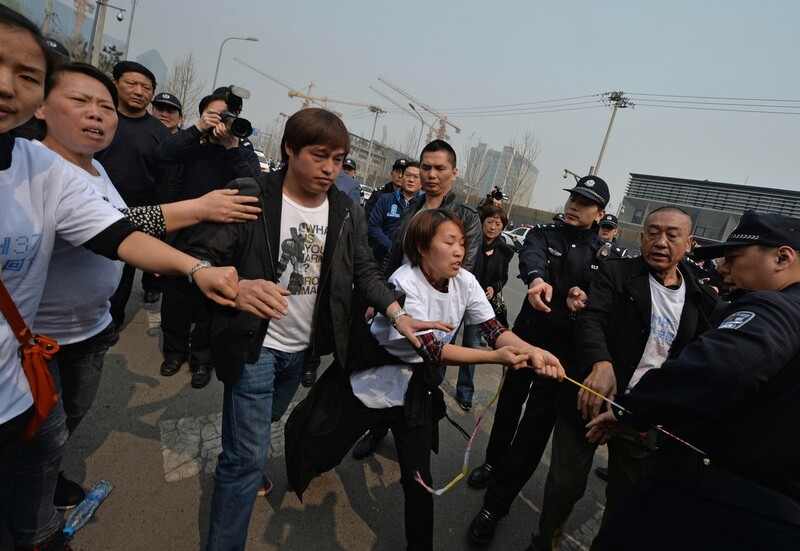 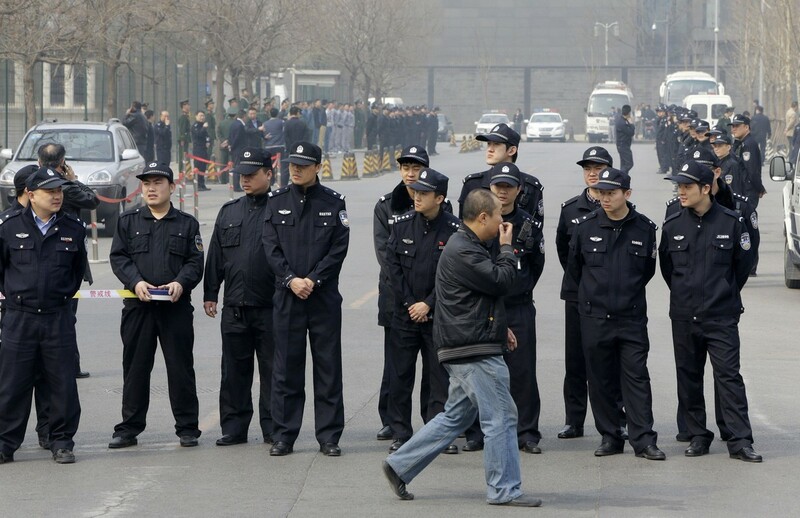 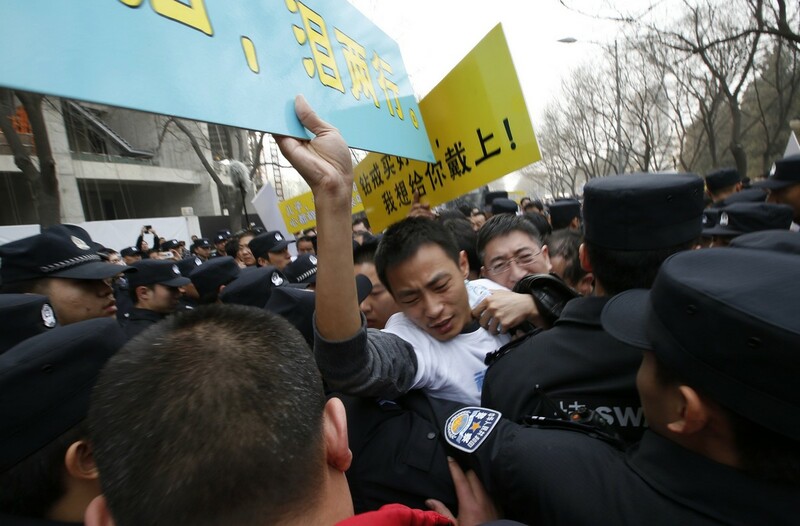 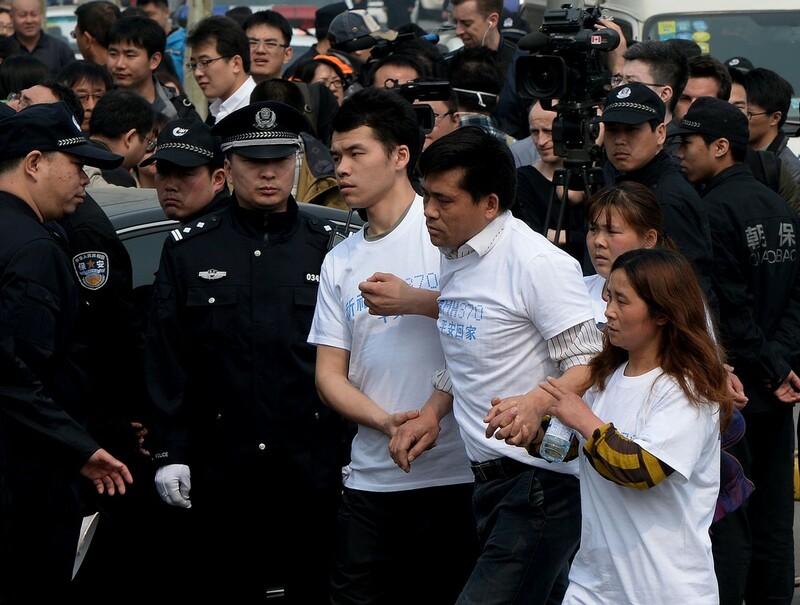 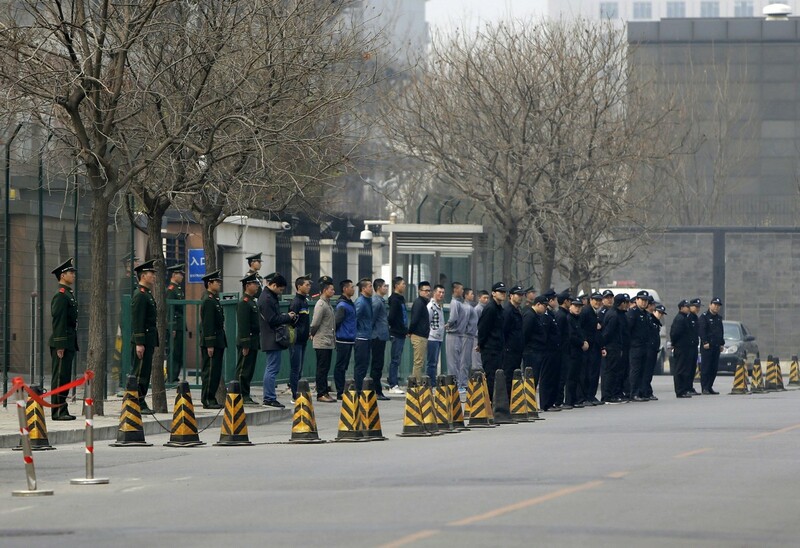 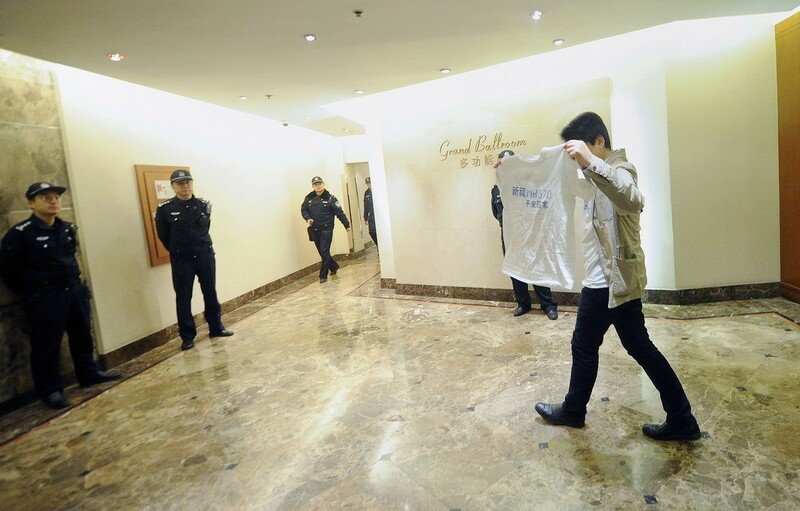 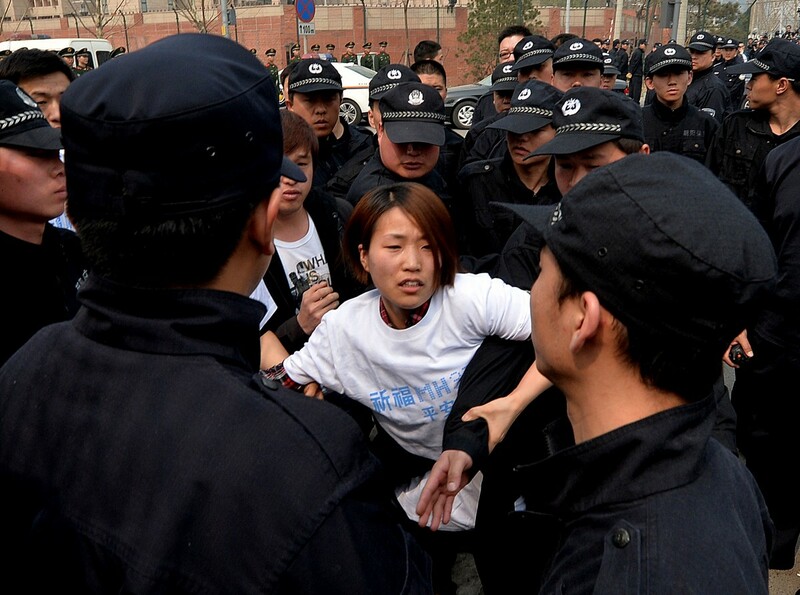 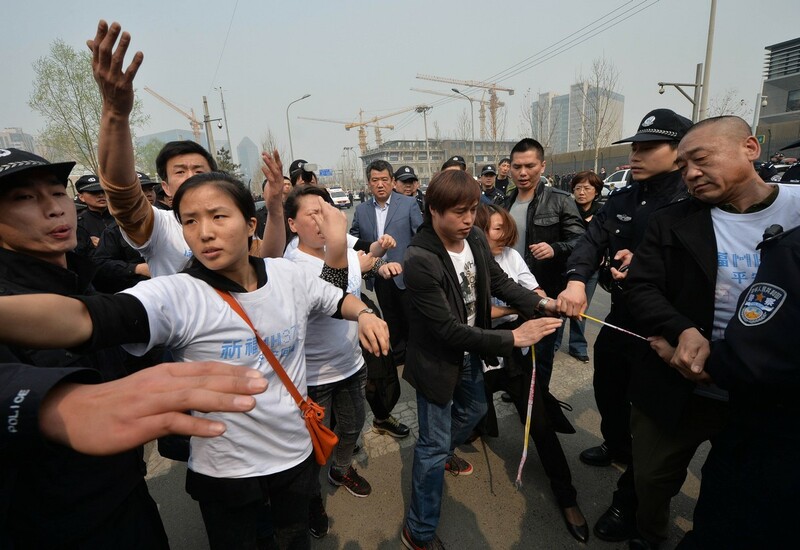 Chinese authorities normally keep a very tight rein on any protests in Beijing. 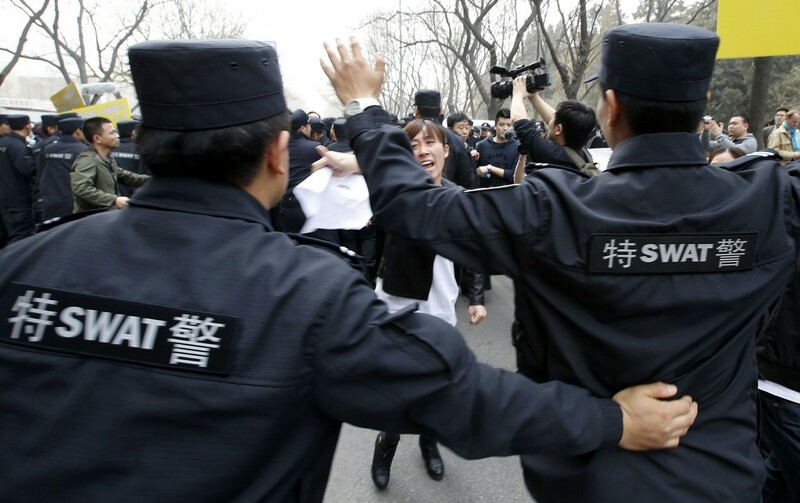 But at intersections along the way police blocked traffic to allow the marchers through, while at the embassy scores of black-clad uniformed police officers kept the roads clear, their walkie-talkies abuzz. 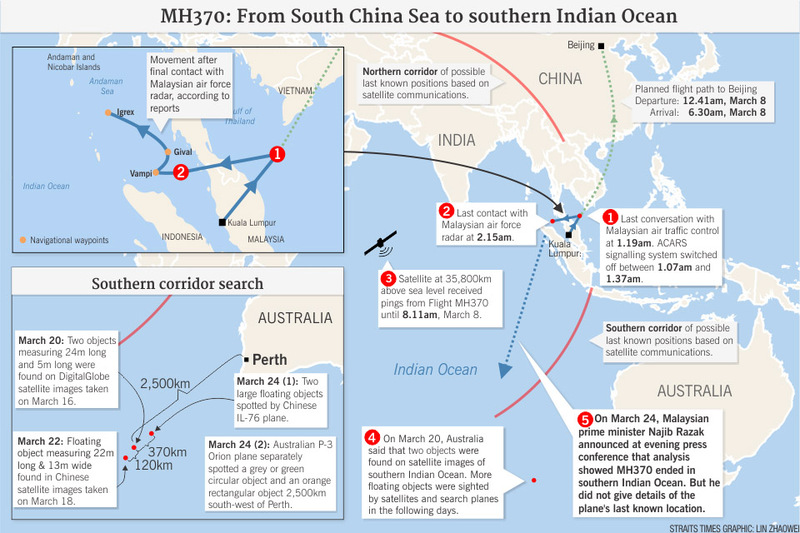 This map shows the possible routes taken by flight MH370 if it was moving at constant speeds of 400 knot (740km/h) and 450 knot (833km/h) respectively. 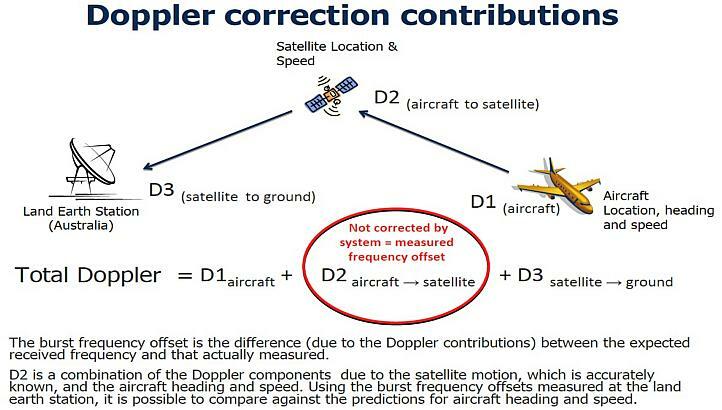 This diagram released by the Malaysian authorities shows the Doppler contributions to the burst frequency offset. 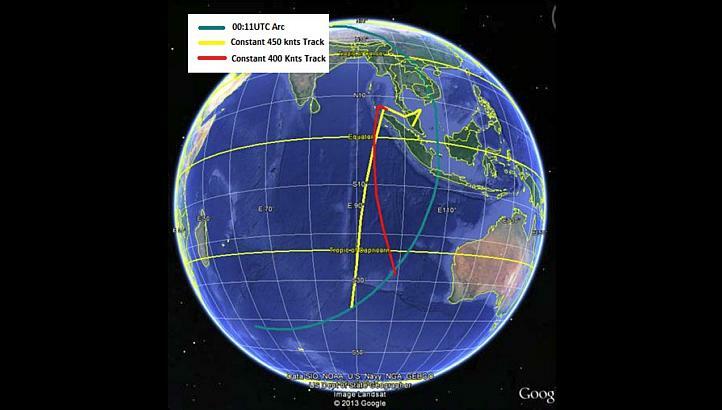 British firm Inmarsat developed a new technique which analyses the speed of the aircraft relative to the satellite. 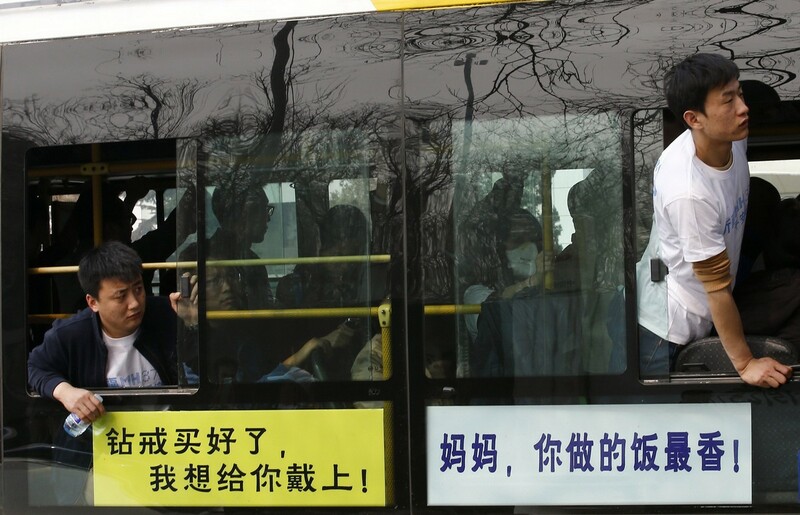 Depending on this relative movement, the frequency received and transmitted will differ from its normal value, in much the same way that the sound of a passing car would seem to have changed as it approaches and passes by an observer. 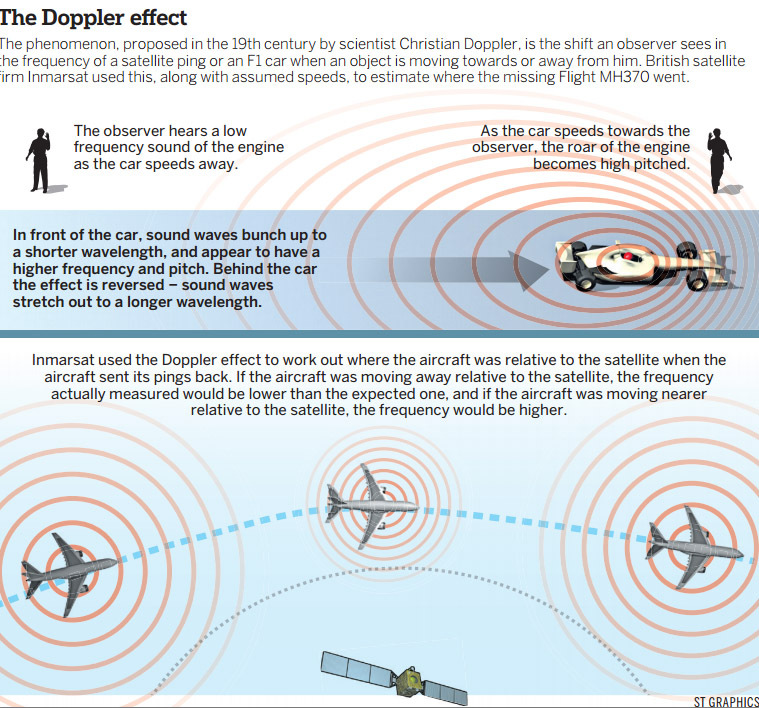 The burst frequency offset is the difference (due to Doppler contributions) between the expected received frequence and that actually measured. 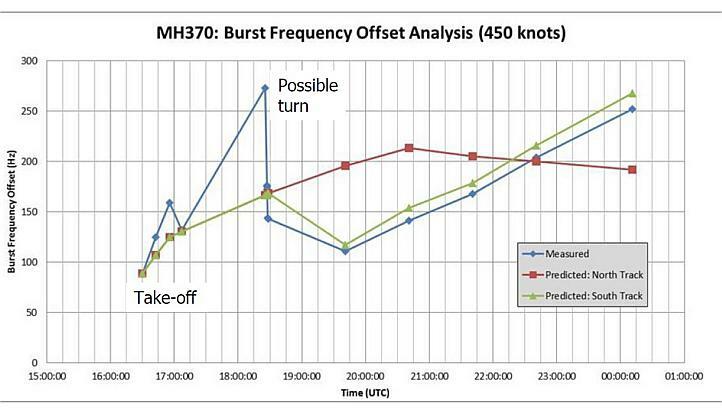 This graph released by the Malaysian authorities shows the following: The blue line is the burst frequency offset measured at the ground station for MH370, the green line is the predicted burst frequency offset for the southern route, which over the last 6 handshakes show close correlation with the measured values for MH370. 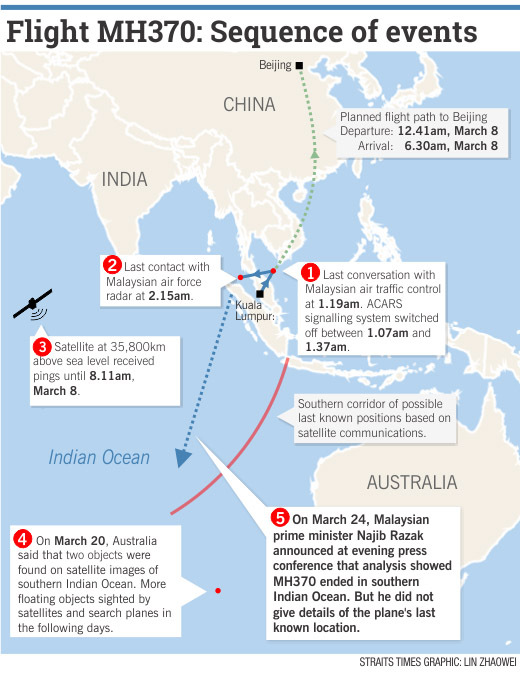 The red line is the predicted burst frequency offset for the northern route, which over the last 6 handshakes does not correlate with the measured values for MH370. 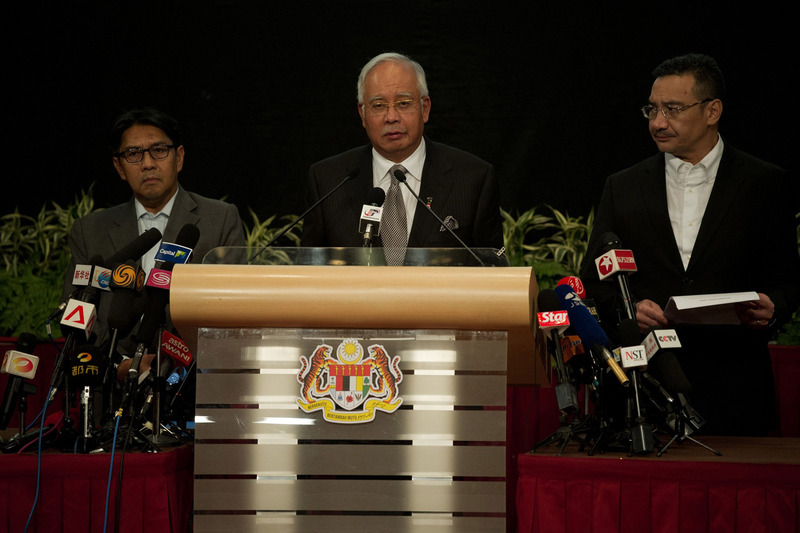 Said PM Najib: "It is therefore with deep sadness and regret that I must inform you that, according to this new data, flight MH370 ended in the southern Indian Ocean." 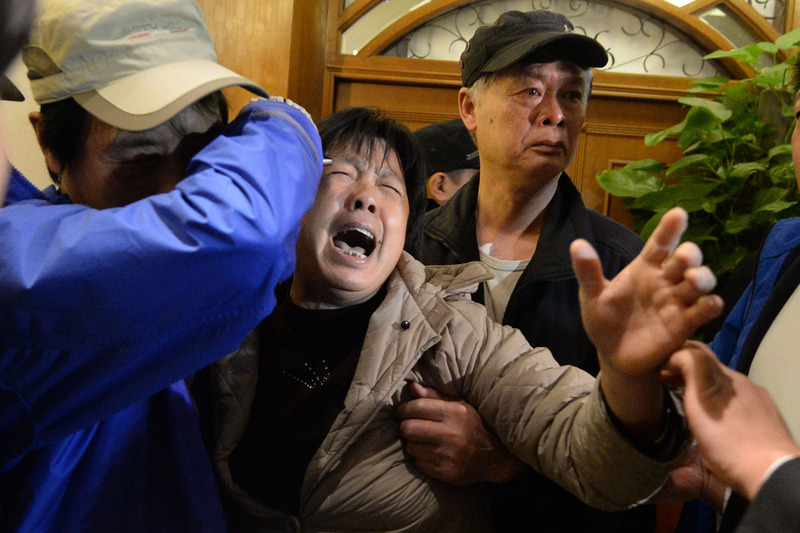 All 239 passengers and crew on board MH370 are feared dead after it was determined that the Malaysia Airlines Boeing 777-200 went down in the Indian Ocean. 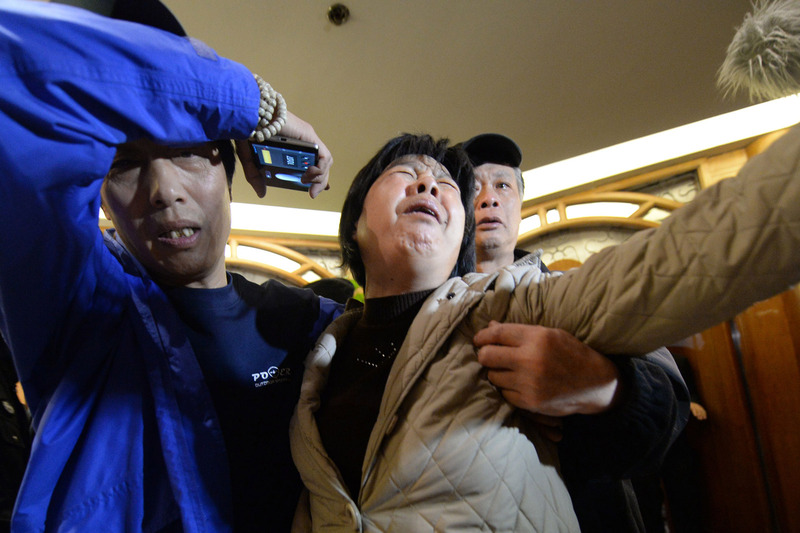 Malaysia Airlines also sent a text message to families expressing deep regret. 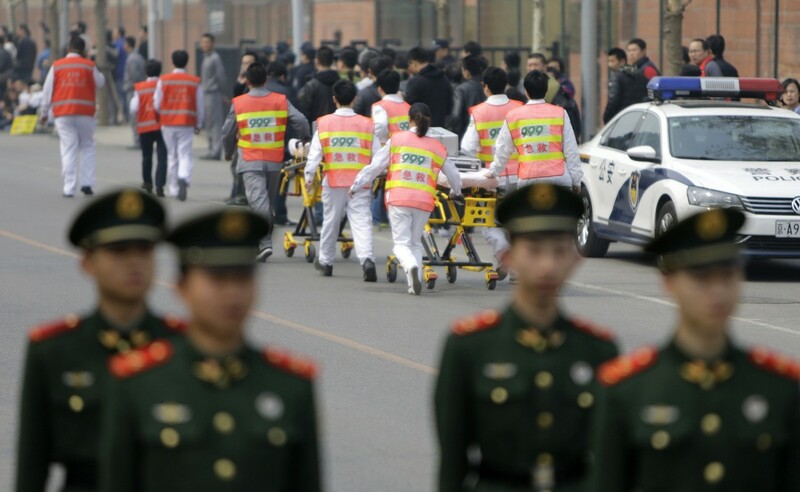 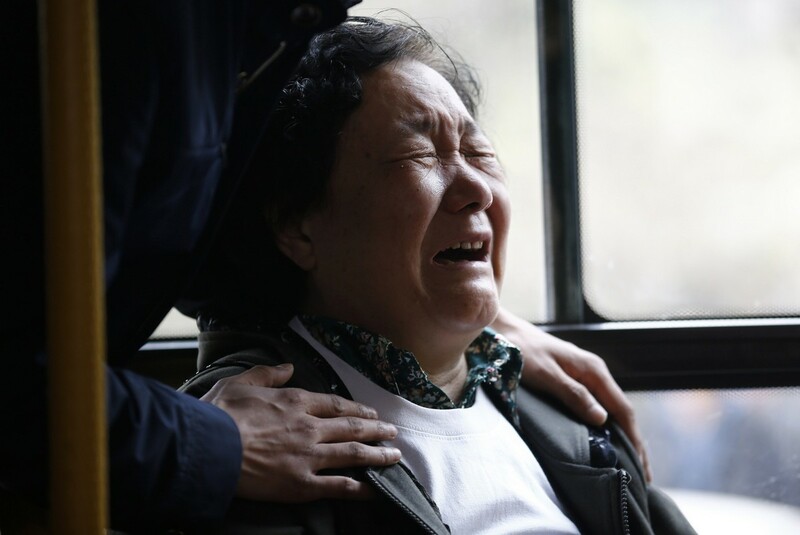 Families in Beijing and Kuala Lumpur were seen wailing when they heard the news that the plane had crashed and there was no hope of any survivors. 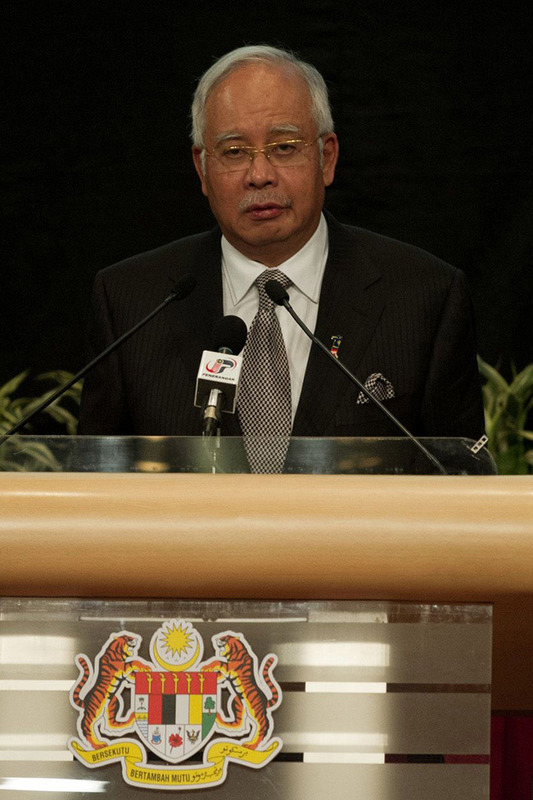 Prime Minister Datuk Seri Najib Tun Razak announced live over TV that the flight ended in the Indian Ocean based on confirmation from investigators. 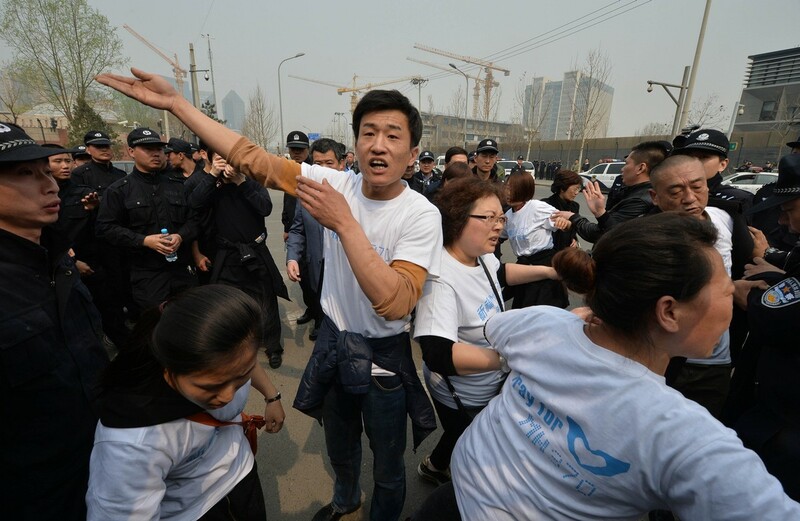 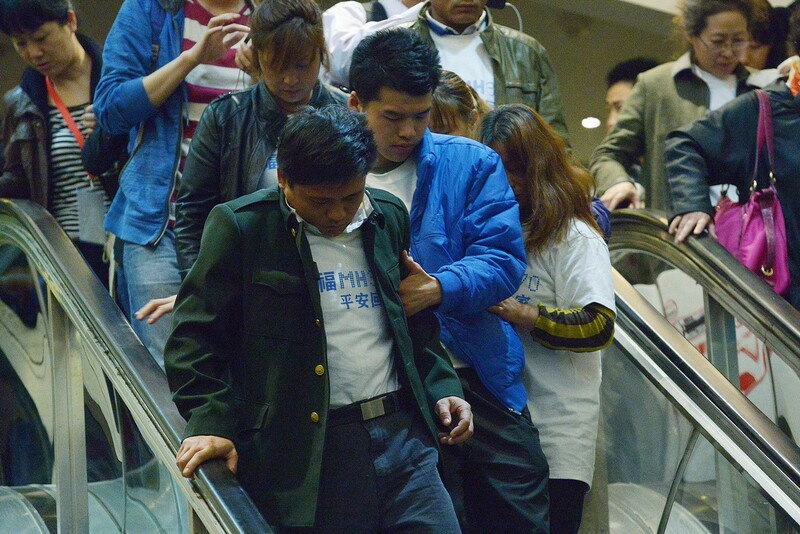 A few relatives were weak-kneed, and had to be supported by others as they tried to evade the multitude of cameras. 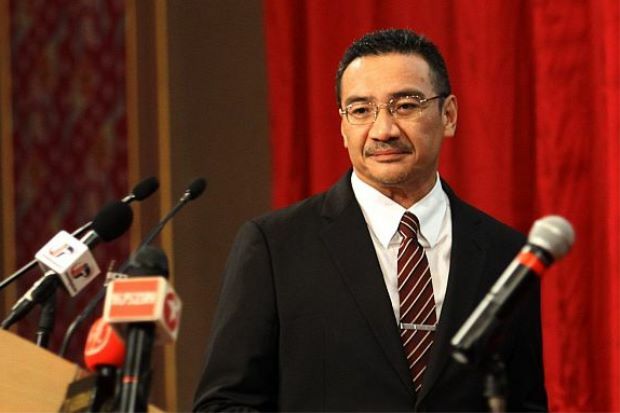 Acting Transport Minister Datuk Seri Hishammuddin Tun Hussein called for the privacy of the families of passengers and crew flight MH370 to be respected. 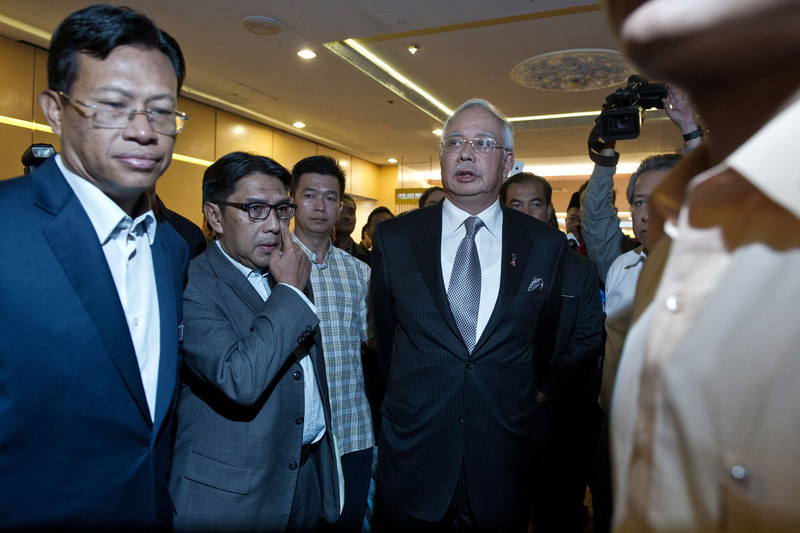 Mr Selamat Umar, whose son was on board MH370, was too stunned to speak to reporters after Malaysian PM Najib Razak's announcement on Monday. 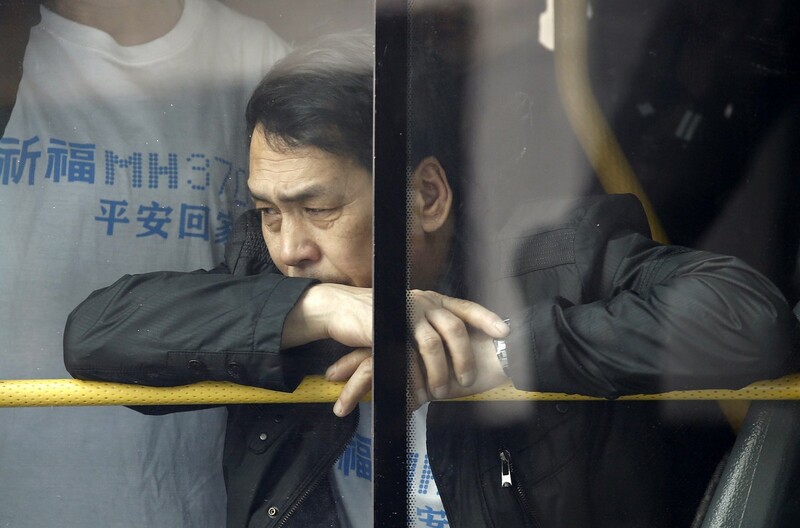 He had clung onto to the hope that the plane was hijacked and his son would eventually return. 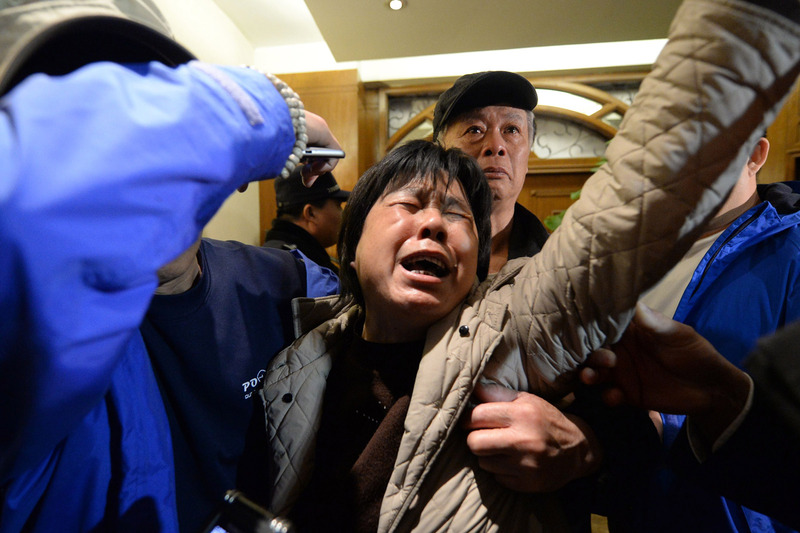 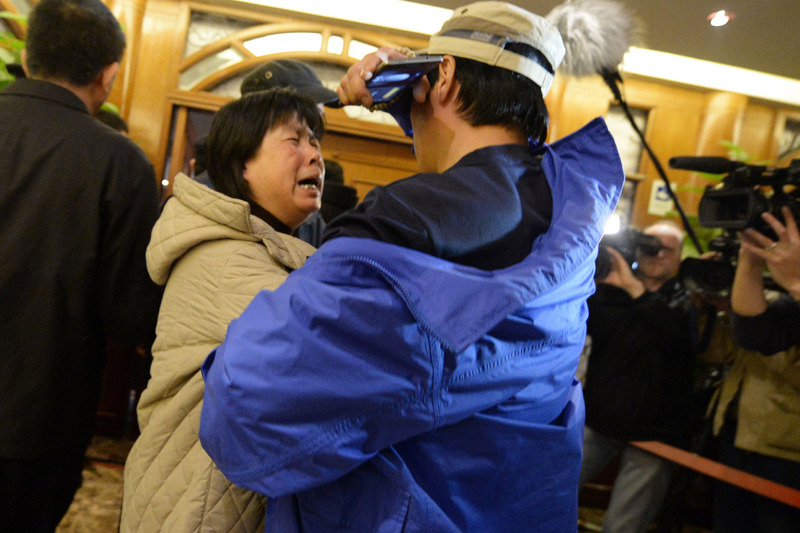 A relative of passengers on Malaysia Airlines flight MH370 cries after hearing the news that the plane plunged into the Indian Ocean at a hotel in Beijing on March 24, 2014. 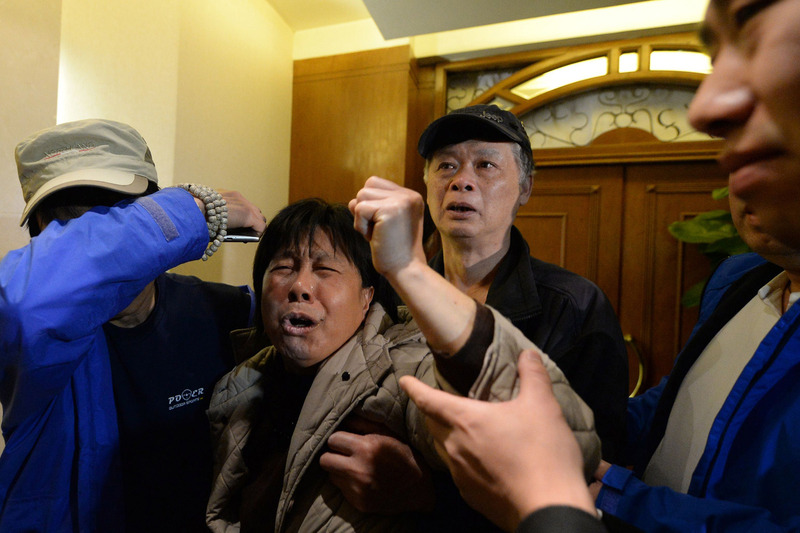 The missing Malaysia Airlines jet came down in the Indian Ocean, Prime Minister Najib Razak said March 24, as the airline reportedly told relatives it had been lost and that none on board survived. 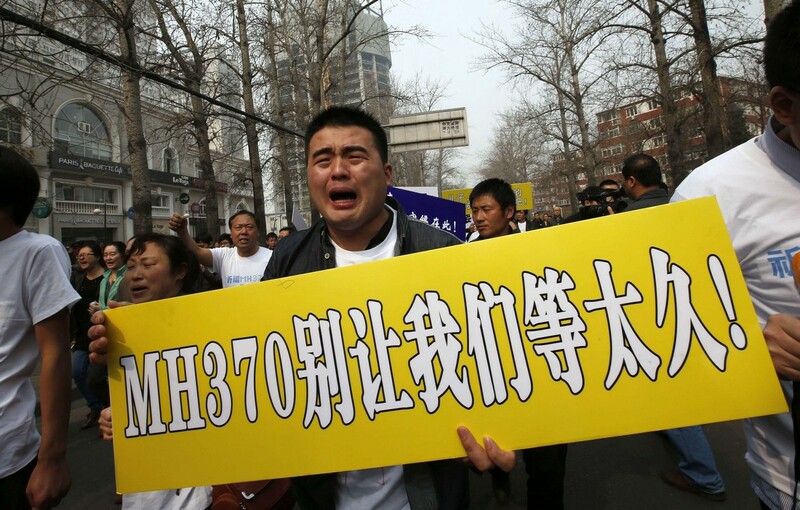 An angry relative waves gestures with a fist after hearing the news that Malaysia Airlines flight MH370 plunged into the Indian Ocean.